Oh, Superman, I wonder if people know how beautiful the world really is. Photo compliments of Randy Garret and Don Holmes. The Adventures Continue (TAC) is a website devoted to George Reeves and the Adventures of Superman. All contents copyright© by Jim Nolt unless otherwise noted. All rights reserved. Nothing from this website may be reproduced by any means, in whole or in part (except for brief passage used solely for review purposes) without written permission. Superman and all related indicia are trademarks of DC Comics, Inc. and are reproduced for historical purposes only. Use of the name of any product or character without mention of trademark status should not be constued as a challenge to such status. 1) The Adventures of Superman opening Credits – Mike Goldman has given us an insight to the mysterious changes. 2) In the Shadows of "Panic in The Sky" – John Raspanti gives us an inside look. 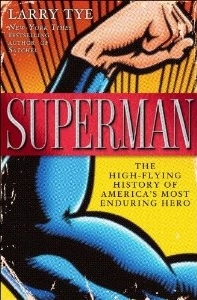 3) The Adventures of Superman A Reflection by Bruce Dettman. 6) In "The Monkey Mystery" Mystery Mike Goldman and Don Holmes take a closer look at "The Monkey Mystery" and give us with yet another mystery to think about. 11) "George Reeves Forever" website goes offline, but Rich's pages find a home at TAC. 15) The Adventures of Superman 20th Century Fox Feature Compilations by Allan Asherman. 1) Ron Gross combines his appreciation for TAoS and his unique and impressive artistic style to bring a beautiful tribute to George Reeves. 2) Rare Neal Adams illustration of George Reeves from the early 90's. 3) Skip Simpson recreates the Painting in Perry White's office. 3) Bruce Dettman Documents Bruce provides on-going mini-profiles of the Adventures of Superman character actors. 5) An Interview with Malcolm Mealey by Doug Switz. 11) The Billy Nelson Gallery Thanks to his nephew, Jason Michaels. 12) Ladies of the Adventures of Superman by Colete Morlock and Thom Hamilton with latest entry, Mira McKinny. 1) Maybe It's His Costume Fans personal recollections of childhood memories. 3) The Evolving "S" Emblem, The Ever Changing Color Uniform, X Talks about the Muscles by Mr. X. The Deserter Review - by Colete Morlock. As every fan of George Reeves knows, he directed the last three episodes of the Adventures of Superman. It was in George's best interest to direct further and directing the film The Deserter was on his agenda, as well as Return to Earth. Colete reviews The Deserter and why it may have interested George Reeves. 5) "A Ghost For Scotland Yard"
4) Results of Vicki Bigelow's research at the Helen Warner branch of the Willard Public Library in Battle Creek, Michigan. 6) The Greater Indiana County State Fair Appearance - August 25, 1956. Newspapers, Magazines and other media forms. I Thought I Was the Only One is a list of George Reeves/Superman resources. It was long speculated and at times defined as fact that Frank Bessolo, George's step-father, died by suicide. Enter the pages above and finally learn the truth. Who's The Guy In The Circus Suit? And That Will Put The Whammy On Your Superman Racket, But Good! 11) Newspaper Articles Related to George Reeves and the Adventures of Superman. 12. Ed Gross of CloserWeekly.com takes a look at George Reeves. 2) Take a guided tour of the Daily Planet with your tour guides, Mr. X and Jim Nolt. 3) And now, take the "Out of the Office Tour" with that fabulous duo, Mr. X and Jim Nolt. 4) Mr. X and Mr. N(olt) bring to you Super Outtakes. 5) Put-and-Take Tops? It took 50 years, but thanks to Mr. X, another mystery is solved, and I now know what a Put-and-Take Top looks like ("The Man Who Could Read Minds"). 6) The Man Who Filled In for The Man of Steel ? 13) Where is it really? 3) New York Post article on Hollywoodland includes remarks by Mr. Jim Nolt. 1) Download Karen Grant's interview with Jack Larson from May, 2003. (Thanks to Mike Goldman for bringing this to my attention). 2) Jack Larson's connection with antiques in this interview by Ken Hall. 3) Superman Returns: Jack and Noel in the New York Times. 4) A few words from some who knew Jack. 5) Jack Larson's Memorial Service. 1) 50 Years Later Still Resonates A sentimental remembrance from the fans. talks about Superman's TV history. Son of Juan Duval who played Dr. Cuesta in "Treasure of the Incas"
1) A Christmas Gift by Stephen L. Brooks -- Illustrations by Randy Garrett. 2) First Encounters by Stephen L. Brooks -- Illustrations by Randy Garrett. 3) Missing by Stephen L. Brooks -- Illustrations by Randy Garrett. 4) Night Before Christmas by Kirk Hastings -- Illustrations by Randy Garrett. 6) Trouble In The Old Home Town by Stephen L. Brooks -- Illustrations by Randy Garrett. 7) Superman's First Rescue by Stephen L. Brooks -- Illustrations by Randy Garrett. 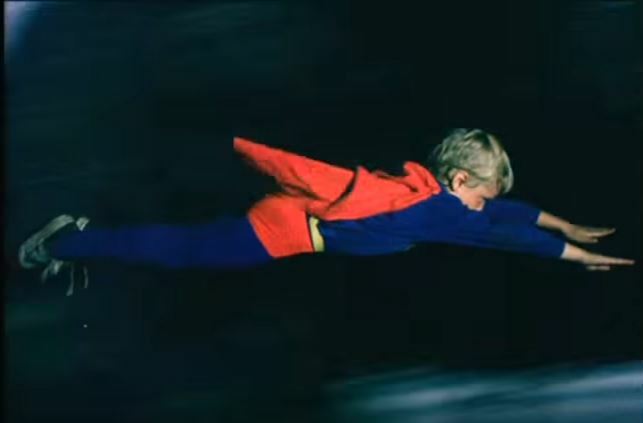 to a Superman video he produced when he was six. As Peter points out, his Superman flies backwards, but it is, nevertheless, exceptionally well done. Thanks, Stoney, for sharing Superman and the Mad Scientist. of 50 George Reeves' films. Have you ever wondered what happened to the 1953 Nash-Healey driven by George as Clark Kent on TAoS? Well, wonder no more. Noel Neill honored with amazing Lois Lane Statue. 1975 New York Telefantasy Convention with Noel Neill. See candid photos of Noel's appearance. 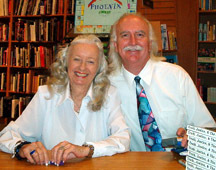 Noel Neill's 85th birthday party photos. The party was held at the Beverly Garland Holiday Inn on November 26, 2005.
aired this birthday tribute to her. 2) Inside look at So Proudly We Hail Exhibitor's Manual. 13 pages. Includes Tall, Dark and Embarrassed - Nurse Claudette Bathes Shy Male (see Page 40). Thanks to Serena Enger. 2) "The Man Who Could Read Minds" Location shots in "The Man Who Could Read Minds"
3) Learn about the train shown in the introduction to the Adventures of Superman. 5) The Williams' apartment building in "The Birthday Letter." 2) Superman's Girl Friday - Long lost magazine article found. 1) Great animated feature will have you walking on air. 2) Combining two passions... TAoS and Stereoscopic imaging. Bring your 3D glasses. 3) Now you can have a Nash-Healey sports car just like George's. Superman and the Secret Planet. This concludes Superman and the Secret Planet, and we owe Randy Garrett a sincere debt of gratitude. I know he put in many long hours for our enjoyment. Randy, thanks so much for sharing your talents, your time, and your love for George. For more of Randy's artwork, visit his web-site. Superman and the Mole Men began filming in July 1951. Fifty-year anniversary is recognized by the Los Angeles Board of Supervisors, and a celebration is held downtown at the Cafe Pinot. See Noel Neill, Jack Larson, Robert Rockwell, Jeff Corey, Dabbs Greer, Bette Shayne, Laura and Joanne Seigel and Paul Levitz. Special Report from NEWSDAY, Sunday edition dated June 18, 2006 on the upcoming Superman DVD and broadcast events. Brittany thanks the "Legion of Super Friends" who helped her with a school project in the spring of 2003.